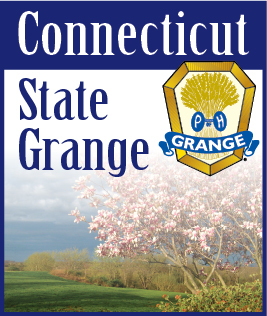 The Women's Activities Committee is seeking recipes to be submitted for publication in the new Grange cookbook to be sold at the New England Grange Building during the Big E this September/October 2010. The name of this year's cook book is "Soups, Salads and Appetizers" and the committee is looking for your favorite recipes in these categories. Recipes should be sent to the Connecticut State Grange Central Office at 43 Naubuc Avenue, P.O. Box 1393, Glastonbury, CT 06033. Please mark the envelope CWA Recipe Attn: Betty Jane Gardiner. Please include your name, address as well as Grange name and number on your submission. Please submit your recipes ASAP as the deadline to publish the cookbook is quickly approaching.